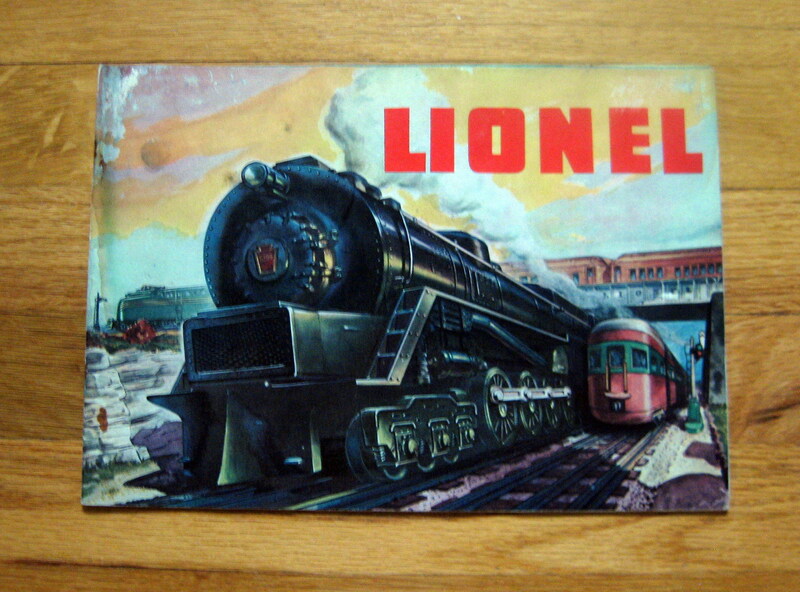 Details:1947 Lionel Consumer Catalog Very Good Condition. 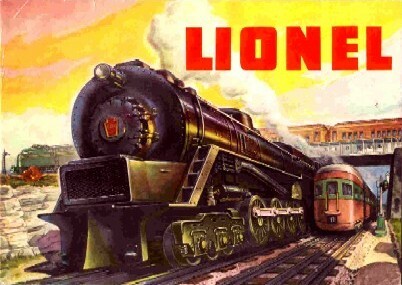 Lists Assorted train sets including the 221 Pullman metal set, 2025 freight sets, 726 Loco with freight cars, and the 2332 (Pictured as 4911) GG1 loco with Irvington style passenger cars. 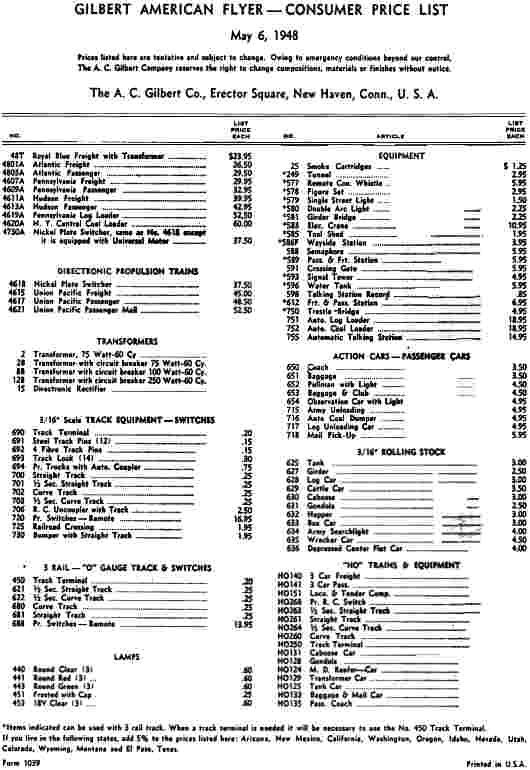 A complete list of rolling stock, and trackage items also shown. 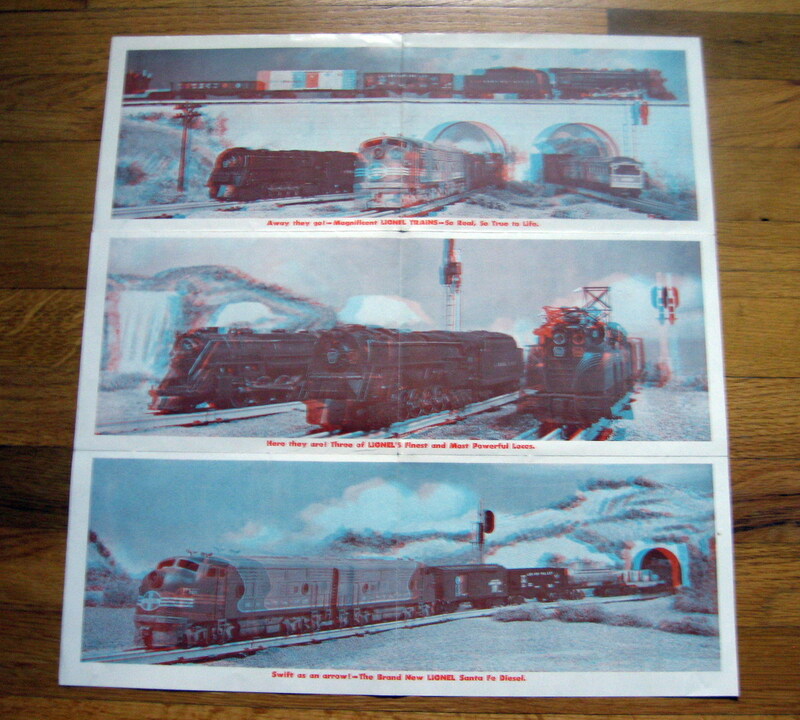 NOTE: Catalog has minor water discoloration on pages 1-10. 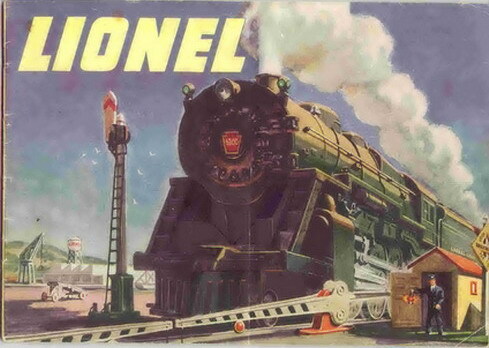 Details:1947 Lionel Railroad Guide. Excellent condition. 10 1/2" x 16 1/2" folded. 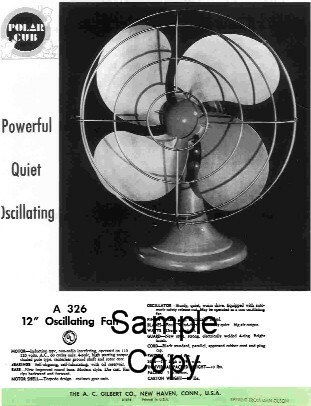 1948 American Flyer Gilbert Polar Cub Oscillating Fan (D1516). Details:Gilbert American Flyer photo-copy of a consumer price list dated May 6, 1948. This comes with the large consumer catalog from 1948 (D1507). Copy is a bit dark in places, but all information is readable. These lists are very often missing from the large size consumer catalog, this is why I'm offering it. Listing is legible and clear. 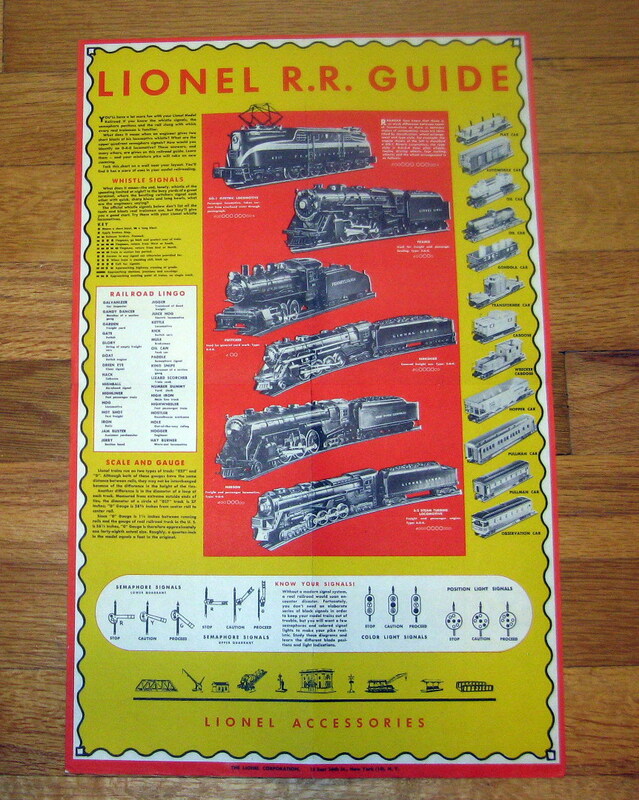 Details:1948 Lionel 3D Poster. Excellent condition. 18" x 18". 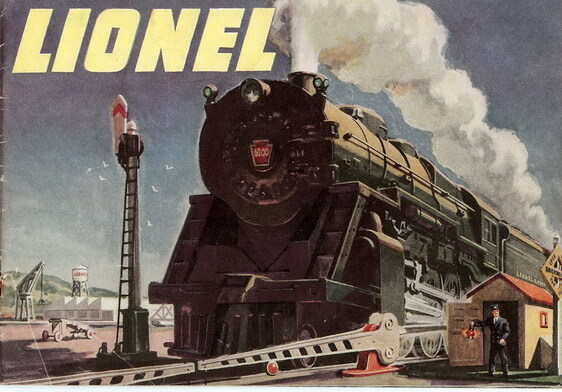 Details:1948 Lionel Consumer Catalog. Good condition. Water damage. Back page with a tear. 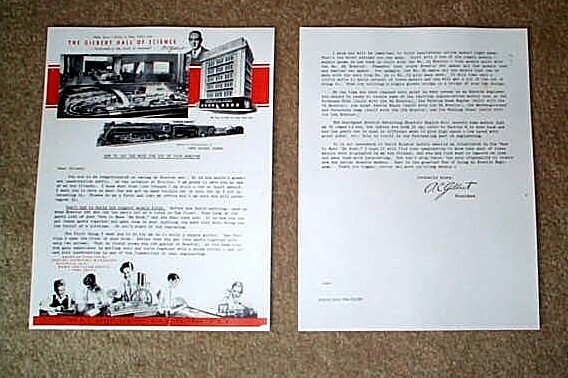 1949 American Flyer Hall Of Science Letter (M2663).